The Eskenazi name has been associated with Oriental art since 1925. John Eskenazi joined his father's business in Milan in 1977 after studying History of Art, and stage design. 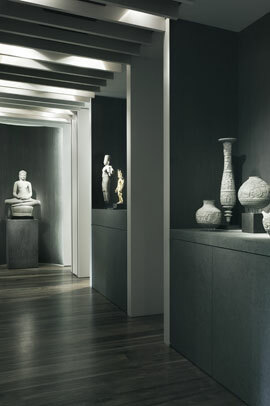 In the mid-1990s he further developed the company, opening a gallery in Old Bond Street, London where his reputation as a leading expert in Asian Art was consolidated. In 1997 he was instrumental in co-founding Asian Art in London and in 2004, London Sculpture Week. He has also been a prominent exhibitor at The International Asian Art Fair in New York and at TEFAF Maastricht. He is also a founder partner of The Art Newspaper. John Eskenazi continues to expand his internationally recognised expertise and scholarship in Asian art and culture, through extensive travel, study and research. He and his wife, Fausta, are available, by appointment only, for consultation and private viewings of select pieces.